Filling out a W-4 is less mind-boggling than you think. One of the first things you have to do when you get a new job is filling out a Form W-4 [Employee’s Withholding Allowance Certificate]. It is essential to complete a W-4 correctly because it determines how much tax will be withheld from your pay and how large your tax refund will be. The first half of the form is pretty easy. You just have to fill in your name, address, and marital status. Then you have to figure out how many allowances to claim. This number will determine the amount of your withholding. Generally, the number of allowances you should claim will correspond to the number of personal and dependency exemptions you can claim on your tax return, but this is not always the case. Claiming zero allowances will result in the maximum amount of tax withheld. Every additional allowance you claim on top of that means that a little less tax is withheld. If you can be claimed as a dependent on someone else’s tax return (ie: your parent’s, aunt’s, etc. ), you should claim zero allowances. When you’re a dependent, the person who claims you get the benefit of your personal exemption and you, yourself, will end up owing slightly more in taxes. Hence, the tax should be withheld at the maximum rate of zero allowances. As a single taxpayer, your W-4 form is straightforward enough but you do have several options when it comes to claiming allowances. If you’re single with one job, the allowances to exemptions ratio don’t exactly hold true. Most single people claim one allowance. However, this is likely to result in a refund. If you prefer the extra money after filing, then claiming one allowance is the choice for you. Claiming two allowances would get you closer to your exact tax liability, but may actually result in some tax due. That being said, you would have more take-home pay throughout the year since your employer wouldn’t be withholding as much tax from your paychecks. Essentially you can choose whether to claim one or two, depending on the rest of your tax situation, but it’s probably safer to claim one. Have you tied the knot? This can drastically change your tax situation. Don’t worry; it’s typically for the better. Being married opens up a few doors for you when it comes to tax benefits. You can now file a joint tax return. This is the absolute ideal filing status in regards to taking advantage of your benefits as a taxpayer. In most cases, being married also allows you to claim more allowances on your W-4. If you are married with no children, you should claim two allowances. If you are married with one child*, you should claim three allowances. If you are married with two children*, you should claim four allowances. *Check your eligibility to claim the child tax credit. This gives you more money after filing but also allows you to claim additional allowances on your W-4. Deductions and Adjustments Worksheet: Use this worksheet if you plan to itemize deductions on your tax return or claim adjustments to your income. Two-Earners/Multiple Jobs Worksheet: You will be directed to use this worksheet from the Personal Allowances Worksheet, line h. It is only necessary if you are married and earning a combined income of over $20,000 or if you are single with two jobs earning over $50,000. The IRS also has a withholding calculator on their website that can give you a second opinion on how many allowances to claim. you are not required to file a return this year. If you are exempt, you can write exempt in line seven. You’re done! All you have to do now is sign the form and hand it over to your employer. Even if you’ve been at your job for a while, it’s a good idea to monitor and, if necessary, update your W-4 every year. This is especially true if there’s been a major event in your life such as a marriage or the birth of a child. The goal is to get your refund or tax due as close to $0 as possible. Getting a big refund when you file taxes is a great feeling. It can also trigger that your withholding needs to be adjusted. The reality is that you could be enjoying that money throughout the year instead of having it withheld from your paychecks. Regardless, during tax season you’ll need to report the total earnings and tax withheld on a tax return. 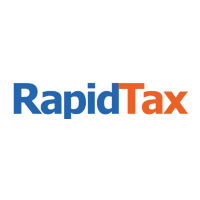 Use RapidTax to file your taxes without a hassle and receive the maximum refund possible! Hello, I am a single mother of one and I also have a full time and part time job. How many could I claim? I currently claim 1 at my full time and 2 at my part time. i am single and i believe i put 0 for my exempt. could i put 2 in order to get more back from my paycheck? Next PostNext If You Work Remotely Where Do You Pay Taxes?